In a competition conducted by CraftBeer.com, the website for the Brewers Association, Harry’s Alehouse in Fredericksburg was named as the 2018 Best Craft Beer Bar in Virginia. Welsh went on to say that when he and his wife first thought of opening Harry’s it was all about the food. “We wanted to be proud of the meals we served in our community. We live here and know our customers so even though it’s called an ‘Alehouse’ it was important to have great food. But they could not ignore the beer. Managing Partner RB Cobean and Craft Beer Manager Trevor Sherwin head up the efforts on the Craft Beer front. They have developed relationships with the brewers and distributors that give Harry’s a leg up on being able to offer hard to get beer selections. Harry’s has been nominated in three categories in the Free Lance Star’s ‘Best of the Burg’ contest for Best Restaurant in Spotsy, Best Gourmet Burger and Best Wings. Voting is now open at Fredericksburg.com and Harry’s is sure to make it’s mark. 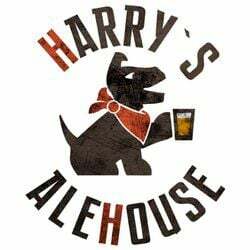 Harry’s Alehouse is located in what’s quickly becoming known as “West Fred” at Harrison Crossing in the Home Depot Center on Rte 3. They are open seven days a week for lunch and dinner and for brunch on Sundays. www.harrysalehouse.com.